Strategic Planning is insights-driven. Category Management is insights-driven. Customers expect robust insights at the interface to drive planning. In today’s environment insights are the currency that drives how effective manufacturer organizations plan, go-to-market and interface with customers. Winning manufacturers are identifying key insights in many different domain areas, and across the Omni-Channel in totality, and using these insights to shape their future. 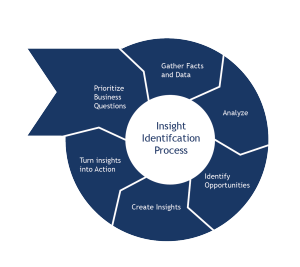 TPG’s Best Practices Process for Insights Identification takes a practitioner through the effective journey from developing key business questions, to analyzing data to solve for questions, and ultimately through identifying insights to shape the future. 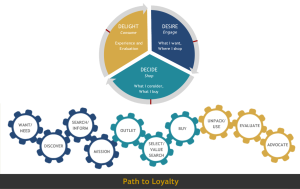 TPG’s Path-to-Loyalty model of Desire – Decide – Delight allows practitioners to identify and catalog insights across the entire consumer and shopper journey. These insights significantly shape manufacturer internal and external planning and serve as ‘ongoing fuel’ for decision-making.